Are You Using Android Apps on Your Smart TV? Smart TV’s are quickly becoming the household smart gadget of choice over the past couple years- and rightly so, they’re amazing. They come couch potato ready with free and subscription entertainment services such as Netflix, Crackle, and YouTube, already built in, and the majority of Smart TV’s are even able to run Android apps as well – too amazing perhaps? Unfortunately, like most things in life, there is a catch. These amazing capabilities, come with a risk. Most smart TV users love to take advantage of Android apps that allow them to watch television channels from all over the world that would not otherwise be available via other methods. Now for the catch, some of these apps may not be safe. The reason for this is that some of these apps contain a backdoor that abuses an old (but dangerous none the less) flaw in older Android versions (before Lollipop 5.0) that allowed attackers to execute arbitrary code (CVE-2014-7911), and many of the smart TV’s currently on the market are still using these older versions of Android that contain this flaw. Smart TV’s are not the only smart gadgets that are at risk of these malicious apps, other Android devices with older versions installed are vulnerable as well, they just aren’t used as often on other Android devices as they are on smart TV’s and TV boxes. So how can you distinguish the safe apps from the malicious ones? You can’t. But below is a list of some the sites that are known to serve malware to smart TV’s. As mentioned before, there is no way to tell whether the app you are using on your smart TV is safe. These malicious apps don’t look any different than the apps that are safe, nor do users usually find them under suspicious circumstances. Smart TV owners are often cleverly lured to the websites that serve the malware infected apps and are then encouraged to install them to make these international channels available. Once the app is installed, the attackers immediately trigger the vulnerability in the system. Although it is also possible to upgrade smart TV’s to the latest version of Android, (which would, in fact, eliminate the flaw) this proves to be an extremely challenging task for users because they are limited by the hardware. A far easier way to protect your smart TV from malicious malware is just to avoid installing apps from third-party sites altogether – however with all of the useful and for some, “must have” apps that are offered to enhance your smart TV experience, this may be easier said than done. That being said, it is recommended that smart TV (or older version Android) users install protection solutions rather than trying to decipher which apps are safe and which are not. 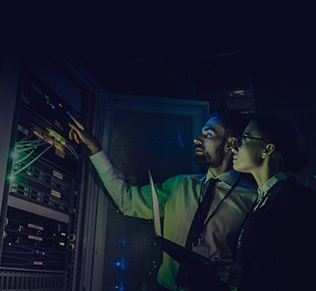 Learn more about how to implement the best protection solutions available to keep your technology safe from malware and targeted attacks. Contact Digivie at (613) 277-2312 or send us an email at info@digivie.com to find out about our managed IT services.